It’s been quite the year for the Church in the world, in the Netherlands and here on the blog. In this post, I want to look back briefly on what has transpired. What happened before will, in many cases, have its effect on what will happen in the coming year. The variety of events has been great, but if we had to characterise 2012, we can of course list the major stories: the two consistories for the creation of new cardinals, the ongoing abuse crisis and the efforts in the Netherlands and Rome to deal with it, the Synod of Bishops, the start of the Year of Faith, the retirements, appointments and deaths, the local stories in my neck of the woods and the (mis)representation of the Church in the wider world. These can all characterise the year for the Catholic Church. But since there are as many interpretations as there are readers, I’ll limit myself to presenting the major stories on my blog per month. For this blog, it has been a good year. With 87,017 views it has been the best year yet, and I am happy to note that I have been able to provide stories, opinions and translations that have been picked up well by other bloggers and media. The pope’s letter to the German bishops on the new translation of the Roman missal, for which I was able to create an English working translation; the Dutch translation of the Christmas address to the Curia; a German interview with Archbishop Müller and my list of surviving Vatican II Council Fathers are examples of this. Both local and international media picked these up, resulting in increased interest for my blog. For that, thank you. – Pope Benedict announces a consistory. The list of 22 new cardinals includes the archbishop of Utrecht. – CDF releases a note with recommendations for the Year of Faith. – Archbishop Tscherrig (pictured) leaves Scandinavia for Argentina. – Cardinal Zen Ze-Kiun turns 80. – In the abuse crisis, soon-to-be Cardinal Eijk speaks before a parliamentary commission. – Bishop Jan Liesen is installed as bishop of Breda (Installation homily here). – Dutch-born South-African Bishop Everardus Baaij passes away. – Cardinal Levada opens a major symposium on sexual abuse in Rome. – At the same symposium, Msgr. Charles Scicluna tells it like it is. – The bishops of Belgium reply to a modernist movement among priests and laity. – Cardinal-designate Eijk is interviewed by Zenit. – Cardinal-designate Dolan delivers a landmark address about the new evangelisation. – 22 new cardinals are created in the consistory of 18 February (new Cardinal Eijk pictured). – Responsibilities within the Dutch bishops’ conference are reshuffled. – In Germany, Bishop Reinelt retires. – Dominik Schwaderlapp is appointed as auxiliary bishop of Cologne. – In Mainz, Bishop Guballa passes away after a long sickbed. – Cardinal Eijk returns home with a pastoral letter on the Eucharist. – Cardinal Eijk announces that he will be keeping a closer eye on the celebration of the liturgy. – Cardinal Quezada Toruño turns 80. – Cardinal Sánchez passes away. – Cardinal Simonis speaks to Zenit about the Second Vatican Council. – Copenhagen’s Bishop emeritus Martensen passes away. – The Dutch bishops respond to a new horrible chapter in the abuse crisis. – Coptic Pope Shenouda II (pictured) passes away. – The Diocese of Haarlem-Amsterdam makes public all the cases concerning sexual abuse by clergy. – A new presidency for the COMECE. – The Dutch bishops issue a letter concerning the celebration of the Easter Triduum, and the need to return its focus to the Eucharist. – Pope Benedict visits Mexico and Cuba. – Bishop Schwaderlapp is consecrated. – Cardinal Egan turns 80. – In the Diocese of Groningen-Leeuwarden, the vicar general announces he will enter a monastery. – In a letter to parliament, The Dutch bishops outline four developments in the fight against sexual abuse. – Pope Benedict directly addresses groups of disobedient priests and laity. – Cardinal Daoud passes away. – Cardinal Eijk reveals a monument for victims of sexual abuse in the Church. – Cardinal Aponte Martínez (pictured) passes away. – A parliamentary committee hears the ‘contact group’ for victims of sexual abuse. – The Dutch chapter of the Equestrian Order of the Holy Sepulchre of Jerusalem invests new members in the cathedral of Groningen-Leeuwarden. – Pope Benedict writes a letter to the German bishops and enters the debate about the new German translation of the Roman Missal. – After 66 years, the Belorussian Diocese of Pinsk finally gets a new bishop. – A new page on the blog, about my conversion story. – The annual pilgrimage to Our Lady of the Garden Enclosed takes place. – Cardinal Vlk turns 80. – Cardinal Eijk takes possession if his title church. – The Deetman Commission undertakes a new abuse investigation, this time into the abuse suffered by women. – Berlin’s Cardinal Woelki is misunderstood about homosexuality. – The cathedral of St. Joseph receives a new altar (Bishop de Korte anointing it pictured) and marks the 125th anniversary of its consecration. – Pope Benedict XVI visits Milan. – Cardinal Quezada Toruño passes away. 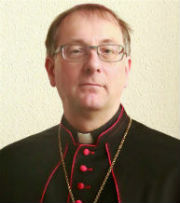 – Florian Wörner is appointed as auxiliary bishop of Augsburg. – The bishops of Roermond publish a brochure about Communion. – The Dutch bishops follow suit with a letter about the same topic. – Cardinal Schwery turns 80. – The Instrumentum laboris of the Synod of Bishops on the New Evangelisation is published. – The logo for the Year of Faith is revealed (pictured). – A round of personnel changes in the Curia. – Dutch Father Louis Tijssen is declared venerable. – Archbishop Nowacki is appointed as the new nuncio to Scandinavia. – The Heel abuse affair breaks. – President-Delegates are appointed for the Synod. – Archbishop Müller (pictured) is appointed as prefect of the Congregation for the Doctrine of the Faith. – About half of the world’s bishops’ conferences have formulated guidelines against sexual abuse. – Cardinal de Araújo Sales passes away. – Bishop Borys Gudziak is appointed as Apostolic Exarch of France. – Cardinal Stafford turns 80. – Bishop Wörner is consecrated, while Bishops Wehrle and Siebler retire. – The Diocese of Rotterdam publishes a Prayer for Faith. – Cardinal Rosales turns 80. – Cardinal Shan Kuo-Hsi passes away. – Cardinal Murphy-O’Connor turns 80. – A Dutch priest’s apparent refusal to baptise the child of a lesbian couple fails to escalate much. – Cardinal Martini (pictured) passes away. – Cardinal Martini’s last interview causes some debate. – Bishop de Korte marks the 25th anniversary of his ordination to the priesthood. – Rumours surface that priests in the Diocese of Groningen-Leeuwarden are unhappy with their new appointments. – Elections in the Netherlands result in a loss for the Christian parties. – Cardinal Rubiano Sáenz turns 80. – Pope Benedict (pictured) visits Lebanon. – Misunderstandings about ecumenism in the Diocese of ‘s Hertogenbosch. – Pope Benedict XVI appoints 36 Synod Fathers. – Cardinal Baldelli passes away. – Questions arise about the German ‘Church tax’. – The first progress report on how the Church deals with abuse claims is released. – German Bishops Wanke and Schraml retire. – Dutch missionary Bishop Joseph Willigers passes away. – Morocco does not take kindly to the arrival of a Dutch ‘abortion boat’. – Vatican Promotor of Justice Charles Scicluna is recalled to Malta to become auxiliary bishop. – The Synod of Bishops on the New Evangelisation begins (pictured). – Cardinal Erdö outlines eleven points for the new evangelisation of Europe. – Belgian Curial Bishop Frans Daneels is made an archbishop. – The Year of Faith begins. – Pope Benedict announces a small consistory for November. – The Synod of Bishops closes. – An attempt at stopping liturgical abusive carnival Masses in Eindhoven. – Amsterdam’s St. Nicholas church is to be made a basilica. – Cardinal Arinze turns 80. – Bishop Demming passes away. – New sexual abuse accusations surface in Iceland against Bishop Gijsen. – Liège’s Bishop Jousten retires. – At Rolduc, Dutch seminarians attend a conference on new evangelisation. – Bishop Michael Hrynchyshyn passes away. – Hermit Brother Hugo makes his perpetual vows (pictured). – The student chaplaincy in Tilburg is brought back into the Catholic fold. – European intolerance towards religion on display in Slovakia. – Cardinal Martino turns 80. – Pope Benedict XVI creates six new cardinals. – Dominican Fr. Timothy Radcliffe speaks about the ‘official Church’. – Bishop Rudolf Voderholzer is appointed as bishop of Regensburg. – Dutch missionary Bishop Wilhelmus Demarteau passes away. – Dutch government announces pulling the plug on small religious broadcasters. 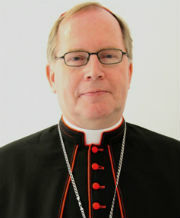 – Georg Gänswein is appointed as Prefect of the Papal Household and will be made an archbishop. – Cardinal Scheid turns 80. – Pope Benedict enters the Twitterverse (pictured). – Pope Benedict publishes the Apostolic Letter on charity, Intima Ecclesiae natura. – Dutch media totally misrepresent the pope on the family and gender. That was 2012. Now let’s get 2013 started. Happy new year! With today’s 80th birthday of Czech Cardinal Miloslav Vlk, by chance on Ascension Day, the number of cardinal electors drops to 122, returning it almost back to the legal maximum. With the fighting spirit of his namesake (‘Vlk’ means ‘wolf’ in Czech), Cardinal Vlk has left his mark as the Church and nation of the Czechs found their place in Europe after the yoke of Communism. Only ordained a priest at 36, Miloslav Vlk is not so much a product of academia, although he is no slouch there, but worked his way through life in Communist Czechoslovakia – even as a priest he had to work as a window cleaner for eight years in order to stay out of the government’s sights. A worker-cardinal turns 80. Born in 1932, Miloslav Vlk grew up under the threat and occupation of Nazi Germany. During the height of the war – as entire villages were massacred in retaliation for resistance activities – 11-year-old Miloslav first started thinking about the priesthood. However, considering this a dream unattainable for a farm boy, he instead wanted to become an aircraft pilot. As the war ended, and a new Communist Czechoslovakia was created, Miloslav worked in an automobile factory and did his military service in the first half of the 1950s. 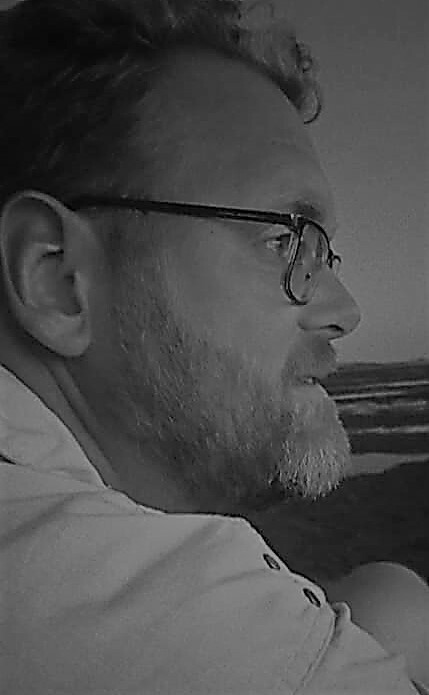 He was then able to study archival science in Prague and worked in various archives until the mid-1960s. In 1964, he could finally follow his desire of studying theology in Litomerice. In the summer of 1968, during the Prague Spring of political liberalisation (which would soon be crushed by the Soviet Union), Miloslav Vlk was ordained to the priesthood, 36 years old. He started his ministry working as secretary to Bishop Joseph Hlouch of Ceské Budejovice. This was apparently reason for state authorities to consider him suspicious, and in 1971, Father Vlk was forced to relocate to various parishes throughout southern Bohemia, and in 1978, he lost his state authorisation to exercise his priestly ministry. From 1978 until the end of 1988, Fr. Vlk lived in hiding, earning an income, first as a window cleaner and, from 1986, as an archivist in the archives of Prague’s State Bank. On 14 February 1990, Blessed Pope John Paul II pulled Father Vlk out of obscurity and appointed him as bishop of his native Ceské Budejovice. He would not be holding that position for very long, because a mere year later, he was called to Prague, to succeed 91-year-old Cardinal Tomášek as archbishop of Prague. As archbishop, and since 1994 as cardinal, Msgr. Vlk concerned himself not only with the local Church, but also with the Church in Europe, mirroring the new Czech Republic’s international outlook. From 1993 to 2001 he was President of the Council of European Bishops’ Conferences, He was also the special secretary of the first Special Assembly for Europe of the Synod of Bishops in 1991 and also took part in the ninth General Assembly of the Synod of Bishops (1994) and the second Special Assembly for Europe (1999). Cardinal Vlk resigned as archbishop of Prague in February of 2010 and was succeeded by Dominik Duka. He is cardinal-priest of the Santa Croce in Gerusalemme. He was, until his 80th birthday, a member of the Congregation for Oriental Churches, the Pontifical Council for Social Communications and the Special Council for Europe of the General Secretariat of the Synod of Bishops. With yesterday’s passing of John Cardinal Foley, Grand Master emeritus of the Equestrian Order of the Holy Sepulchre of Jerusalem, the number of cardinals able to vote in a conclave (ie. those under 80) has dropped to 109. A consistory creating new cardinals sometime in 2012 seems increasingly likely, especially considering the fact that in that year another 13 cardinals* will become octogenarians, bringing the number of electors down to 96, the lowest it’s been since, as far as I can gather, 2001. In the recent history of the college, whenever the number drops below 100, consistories would usually follow fairly soon after. Not that numbers are magical or in any way legally binding. The maximum number of cardinal electors is set at 120, although popes are free to create more than that or raise or lower that limit. Blessed John Paul II has done the former several times, for example. Although numbers do play a role, cardinals are not created to fill up the roster, so to speak. But we can use the numbers as indicators. Next year, as the forces of old age bring the number lower and lower, Pope Benedict XVI may wish to look towards the future and prepare for the election of his successor. Obviously, he can do so by deciding who receives the red hat. The buzz these days is that a consistory may be scheduled for the end of the new year, much like the last one, which took place at the end of November of 2010. Lastly, as for the likely cardinalibile, much is guesswork.Two reasonably likely candidates in these parts of the world, however, are Archbishops Wim Eijk of Utrecht and Vincent Nichols of Westminster. Their respective predecessors (Cardinals Simonis and Murphy-O’Connor) have recently turned 80 or will do so in 2012. Since Pope Benedict has an unofficial policy of not appointing new cardinals in areas with an existing cardinal below 80, these archbishops now run a fair chance at the red hat. *These, emeriti all, are: José Card. Saraiva Martins (Congr. Causes of Saints), Joseph Card. Zen Ze-kiun (Hong Kong), Rodolfo Card. Quezada Toruño (Guatemala), Edward Card. Egan (New York), Miloslav Card. Vlk (Prague), Henri Card. Schwery (Sion), James Card. 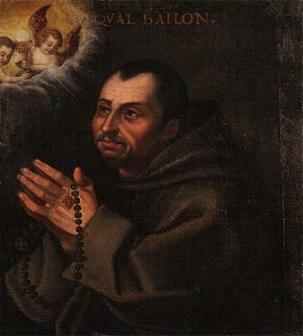 Stafford (Denver, Apostolic Penitentiary), Gaudencio Card. Rosales (Manila), Cormac Card. Murphy-O’Connor (Westminster), Pedro Card. Rubiano Sáenz (Bogotá), Francis Card. Arinze (Onitsha, Congr. Divine Worship & Discipline Sacraments), Renato Card. Martino (Pont. Council Justice & Peace) and Eusébio Card. Scheid (Rio de Janeiro). I came across a pretty nice-looking website that heralds the publication of an extensive biography of a forgotten Catholic great: Willem Marinus Cardinal van Rossum (1854-1932). Born a year after the Catholic hierarchy was re-established in the Netherlands, his career coincided with the period we now call the ‘rich Roman life’ (Rijke Roomsche Leven), when Catholics took full advantage of their newfound freedom to form all kinds of Catholic associations, unions and other clubs, to organise processions (if only below the great rivers) and take their devotions out of centuries of secrecy and hiding. Cardinal van Rossum, then, was one that Dutch Catholics took pride in. His return to the Netherlands in 1924, as the papal legate to the Eucharistic Congress of Amsterdam, was basically the next best thing to the pope himself visiting. And his career was impressive in any case. In 1911, he was the first Dutch priest to be created a cardinal since the Reformation. He wasn’t a bishop then yet (something that is customary today, but less so in the past), but was appointed as President of the Pontifical Bible Commission in 1914, and two years later also as Major Penitentiary. In 1918 he also became Prefect of the Congregation for the Propagation of the Faith (the current Congregation for the Evangelisation of Peoples), and his consecration to bishop followed in that same year. There’s a fuller list of his various duties on the biography page on the website I linked to above. The titular churches he held (first as Cardinal-deacon and later as Cardinal-priest) were suitably high profile. From 1911 to 1915 he held the S. Cesareo in Palatio, which was later held by Blessed Karol Wojtyła, for one. From 1915 until his death in 1932, the cardinal was cardinal-priest of S. Croce in Gerusalemme (right), which before him was held by two later popes (Innocent VII and Benedict XIV) and today by Cardinal Miloslav Vlk, the emeritus archbishop of Prague. As bishop he was the titular archbishop of Caesarea in Mauretania (there it is again), later held by to name but two, my own Bishop Gerard de Korte and Cardinal Walter Brandmüller. Willem Cardinal van Rossum, because of his pioneering role for the rejuvenated Dutch Church, is deserving of a proper biography, and judging by the website above, this could be it.